Heat oil in wok. 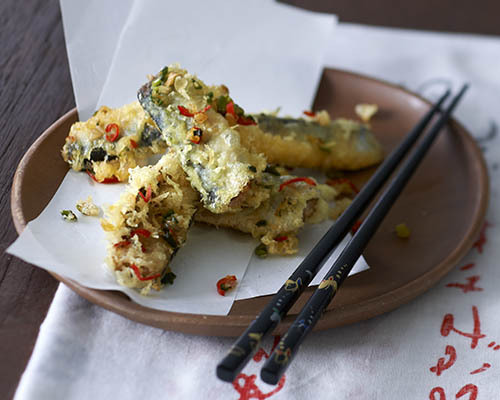 Mix tempura flour with cold water to make a slightly thick batter with dripping consistency. Dip sardines halves into batter and deep fry till crispy. In another pan, heat olive oil from sardines can and fry garlic and red chilli until fragrant. Lastly, add in spring onions and tempura sardines and toss with salt and pepper, add a little sugar to taste.